Few would acknowledge that our knowledge of history could be significantly inaccurate. The most common conception of history is one that begins in Greece, the "cradle of Western civilization", then progresses through Rome, and finally Europe and America. However, this merely represents a strictly Western version of history, and one that is often confused with the history of the World. 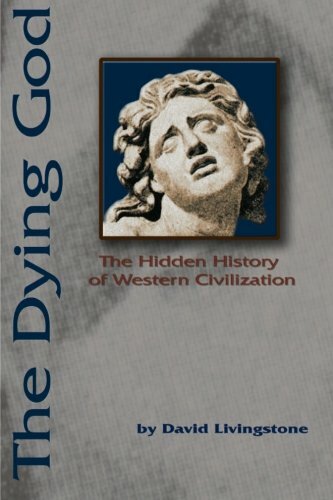 Fortunately though, recent scholarship has begun to elucidate the extent of the indebtedness of Western history to other civilizations, rendering our notion of "Western" civilization obsolete.Rather, a more accurate assessment of the past will reveal a neglected account, the hidden history of Western civilization, which began in Mesopotamia, in the sixth century BC, with the birth of a tradition centered around the myth of a dying god. The development of this tradition led to the emergence of philosophy among the Greeks, then influenced the formation of Christianity, and was appropriated and elaborated upon by the Arabs during the Middle Ages. Ultimately, being introduced to Europe during the Crusades, it eventually spawned the Renaissance and the Enlightenment.